I am not a tough gal, however I married an adventurer, so I often find myself in harrowing situations where a certain amount of robustness is required. Needless to say the right gear can make a huge difference between me enjoying adventure rather and me just tolerating it. My husband Cameron often says, “there is no bad weather, just poor clothing choices” and every girl knows that one of the best clothing choices you can make is picking a good shoe. I grew up in California and my tolerance for extreme cold is almost zero, so when I began to explore Colorado’s winter wilderness, I knew a good shoe was in order. 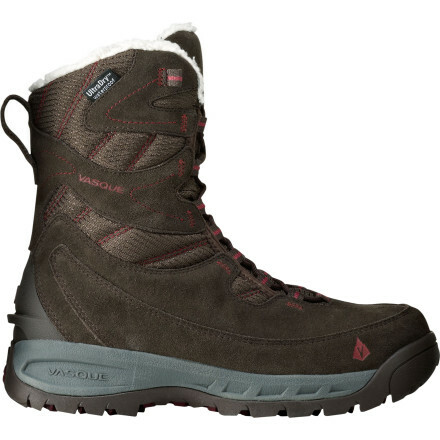 Luckily, I had Vasque’s Women’s Pow Pow Ultradry Winter boot and the perfect snowy adventure to give them a whirl. 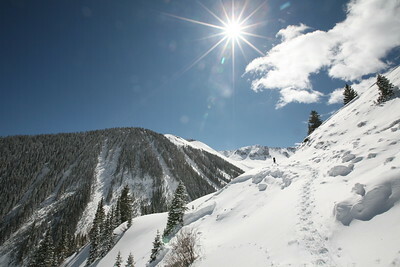 Little did I know how snowy our adventure to the Opus Hut in Southern CO would become. 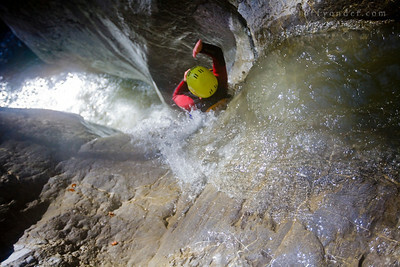 Swiss Adventure: Canyoning and Hiking and Swinging, Oh My! Pre-Summit Adventure No. 1 – Four amazing days in and around Interlaken and the Jungfrau Region of Switzerland. Day 1 – High ropes course with ziplines and other balancing elements high in the trees. Day 2 – Canyoning where we followed a creek into a canyon and jumped off 35′ waterfalls, rappelled off higher ones and slid on the shallower descents. Day 3 – An awesome 6 hour hike through the Bernese Oberland (highlands) to Grindelwald. Day 4 – Canyon Swing: Attached to a rope 300 feet above a roaring river we jumped, we fell, we swung on the rope. 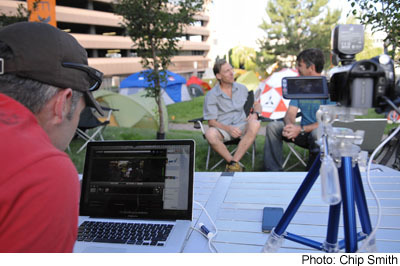 Ever wanting to try something new, I joined a team of friends to put together a consumer facing webcast at the Outdoor Retailer Show this summer. The result was a video for nearly each day of the Outdoor Retailer show where we interviewed movers and shakers in the outdoor business and checked out some of the latest gear yet to hit the shelves. The team included Doug Schnitzpahn as the host, Mike Geraci as producer and yours truly as video editor and gear guy. Huge thanks to our sponsor, Columbia Sportswear, making the whole thing possible. Hopefully we’ll be back at Winter OR for another round. We streamed the videos live via Ustream each morning and archived them on YouTube. Click “Full Story” below to see the videos. 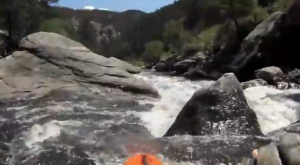 Kayak and outdoor enthusiast Christoper Wiegend and I hit the Poudre River in a tandem Jackson Kayak. After the big fire of July 2012 a big rain storm hit. Hopes were the water would be running high and fast but it’s the lowest Chris has ever run. The video below was filmed on an iPhone 4 in a LifeProof case and a helmet mounted GoPro camera. Click below for video. Hidden in the southeast corner of Utah down the long Hole-in-the-Rock road lies a series of canyons – tributaries to the Escalante River. Thirteen miles down Coyote Gulch takes you through a series of environmental shifts. Starting on the dry, hot and barren plateau, the trail quickly descends into a dry wash. Trees start to appear providing some nice shade and suddenly the ground is wet and water starts flowing. Sandstone cliffs begin to tower above you, shafts of sunlight stream past the rim and the riparian zone bursts into lush foliage. 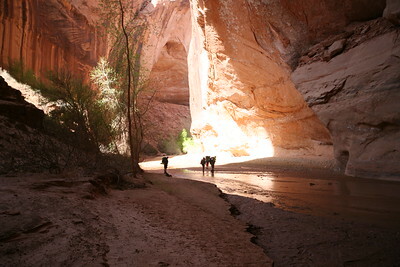 Tents are optional as camp can be made under the sandstone overhangs carved out by centuries of passing water. But there is little need for concern with regular sunny days and scant rainfall. Though flash floods are possible so keep an eye on the upstream weather. Click “Full Story” for more photos. As a last push to find some measure of winter (defined by me as including skiable snow, not just being cold out), Jordan and I pushed out to the new Opus Hut tucked in the southern end of the San Juan Mountains. We had invited a number of other folks, but by the virtue that we scheduled our trip mid week, most of the working world wasn’t able to comply. So Jordan and I set out on this trip on our own. This was her first ski hut trip (though, she did get herself up to Gray Knob a few years ago) and she said it pushed her a bit more than she would have liked. I love this jacket. It has been my go-to piece since getting it and I suspect it will continue to serve well for those cool spring mornings and evenings as well as on camping trips into the mountains. As one reviewer on the Eddie Bauer website commented “Super light, at times don’t even realize I’m wearing it.” So true. And with that, super warm and windproof. As the product page will tell you, the MicroTherm is designed to be a snug/athletic fit and mine is just that. The hood has just the right cut to cup your head and keep it warm. And it is more of a cupping hood, not one that can just be worn loosely and for that sometimes it’s hard to hear beyond the sound of your ears or skullcap rubbing against the interior nylon. 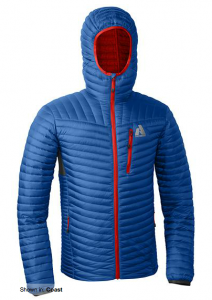 Be sure to check out the great fit comparison video on the Eddie Bauer/First Ascent product page. After putting some videos together at the Summer OR show in 2011 on a whim, Elevation Outdoors Magazine was able to pick up a sponsorship from Verde PR & Consulting to make them happen for the Winter Market OR show. A huge thanks to Verde and here are the videos, each posted by the end of the day each day of the show. Click “Full Story” below or the title above to view the videos. Spring climbing calls for an approach shoe that is comfortable and light. 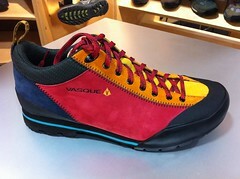 The Vasque Rift comes in bold and subtle color options to suit every personality. This multisport shoe sports the ultra sticky Vibram Spider outsole with Idrogrip Compound reaching from above the toe all the way back and up the heal to stab those tricky approach routes. Soft and comfortable, wearing the Rift is like wearing tough slippers. Soft laces tie easily and stay tied. After hitting a few trails in them, my feet are always happy with the experience and I’m never itching to get these shoes off. 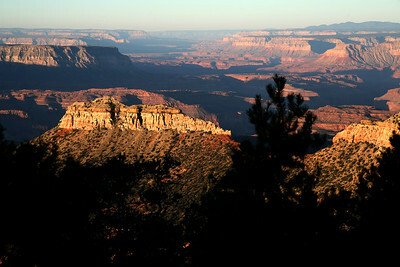 It doesn’t matter how you access the Grand Canyon, so long as you actually get down into it. Sure, the views are impressive from the rim looking down into and along the big red gash in the earth, but it’s too big to fathom just from above. By boat or by foot, you’ve got to get into it. Matt, Agnes and I, planned on a four day backpacking trip descending from the North Rim along the Bill Hall Trail and into Deer Creek Canyon for the first night. Well, technically our first night out was car camping on the North Rim which offered the aforementioned amazing though limited view from above. The morning sun crept down along the walls, displacing the dark pooled in the canyon as we packed up our car camp and got on the rocky trail taking us down.